Carolina Painting & Pressure Cleaning is your premier pressure washing company servicing Lexington, Columbia, and the surrounding communities. 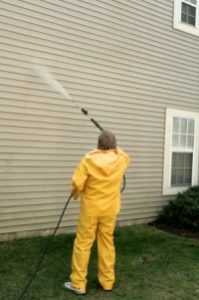 Our exterior pressure cleaning experts offer a wide range of services to local business and homeowners, and we approach every project with quality and craftsmanship. When you want to restore the exterior of your home, office, driveway, deck or concrete walkways, let our pressure washing experts help you. Please visit our services pages to learn more about the residential and commercial power washing services we offer. If you are looking for a Lexington Pressure Cleaning contractor then please call 803-957-4567 or complete our online request form.